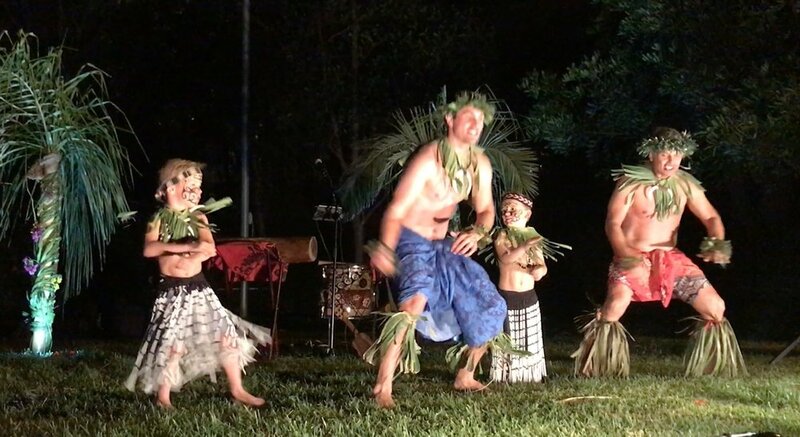 We used Islanders Luau for an event for 100 guests. Their staff was wonderful. The food was exceptional. Maril made it very easy to plan the event. We highly recommend this company!!! 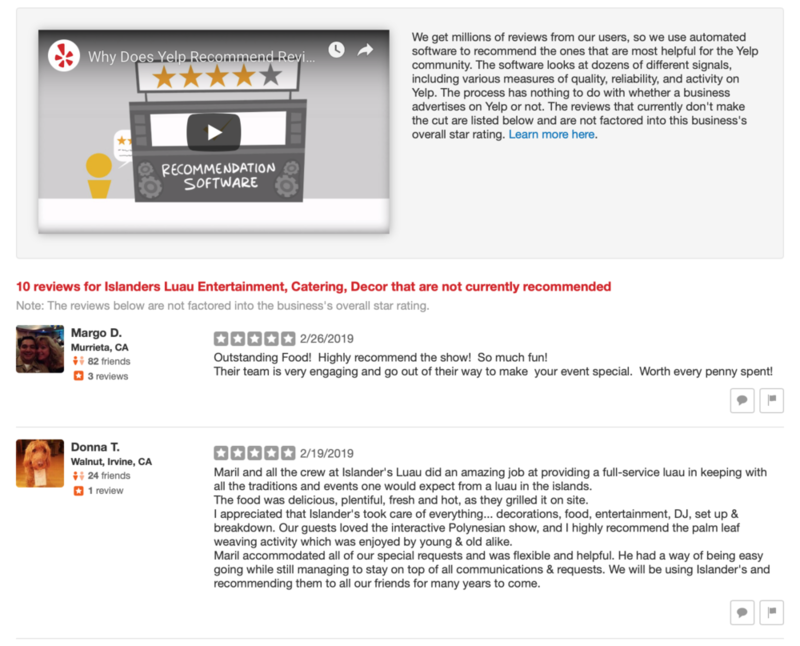 Two reviews for one event! 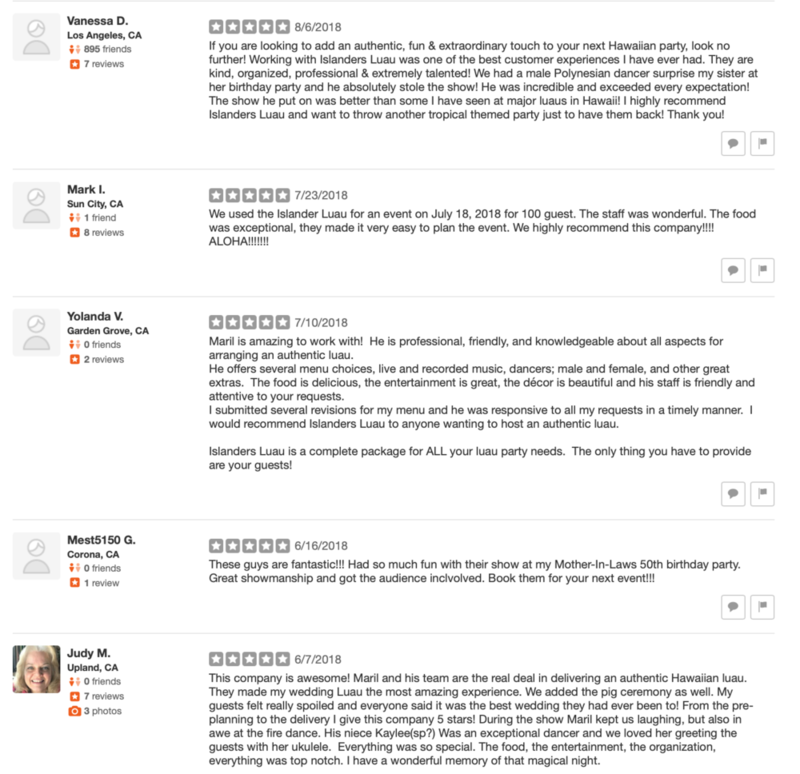 Islanders Luau was asked to come to Newport Dunes for a company's Family and Friends Luau, and not only did the company write a great review, but the Newport Dunes Manager did, too! This place is fun for the whole family!